Are you tired of looking at the worn out and baron area of landscaping around trees in your yard? To make the tree look like it belongs there, we often ring the base of the trunk with flowers and plants. Unfortunately, as the tree grows and its branches and roots expand, the area around it becomes a barren waste land. The tree roots quickly soak up all available water and do a great job of blocking the sun, so few plants choose to grow there. Love them or hate them, ring gardens around trees and shrubs are a common sight in residential landscapes. You can find them in many different forms, but the basic concept is the same. A circular area around a tree is bordered at any diameter and filled with mulch, plants, rocks or other material. The idea may be for visual interest or simply to keep the tree from mechanical injury. There are many ideas for unique ring garden design that can perk up the yard and tie the tree into the landscape. Add a layer of mulch that just barely covers the tree roots, using large mulch types, such as wood bark chips and lava rock, that don’t compact, allowing water and oxygen to flow freely. Maintain an area free of mulch about 6 inches out from the tree trunk to avoid rot and infestation at the trunk. Install edging, a rock border or a low fence around the tree to restrict traffic over the roots. Use this as an alternative when you don’t provide a walkway to guide traffic. Plant shallow-rooted plants, such as flowering annuals, in the soil around the roots. 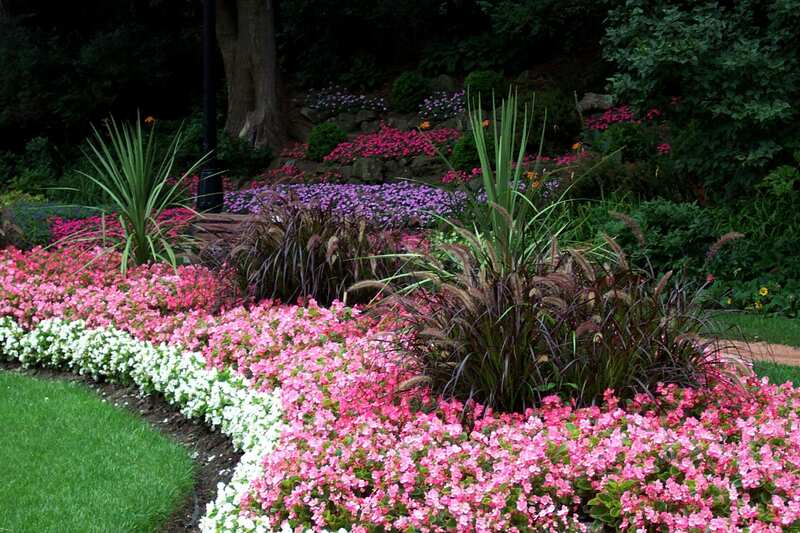 Use a layer of mulch around plants to help prevent the new soil from washing away. If you’re not sure what you want to do with your tress, give us a call. Our goal is to provide you with the landscape design and installation that meets your needs at the lowest possible cost. We raise our own trees and buy plants and materials in bulk to keep costs down. We keep our focus on providing our customers the highest quality trees, plants and lighting, on time, every time.